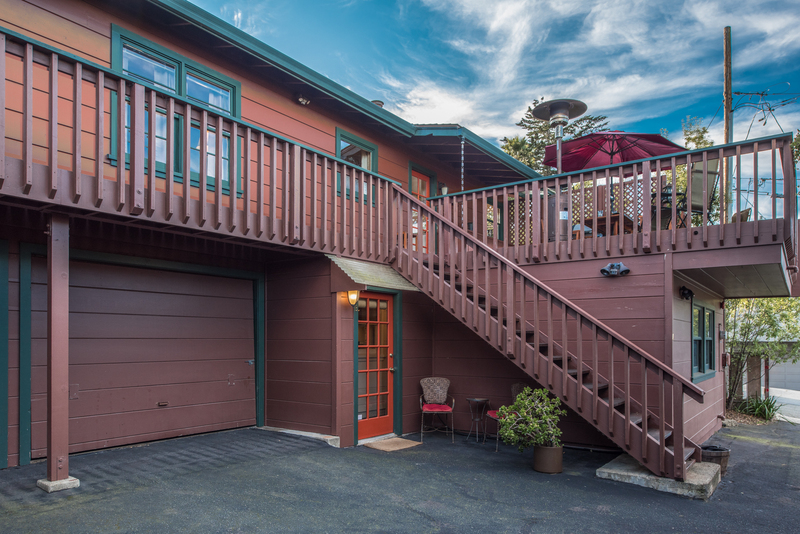 This fully furnished apartment tucked beneath a vacation rental home offers a longer-term option for living in beautiful Pacific Grove. 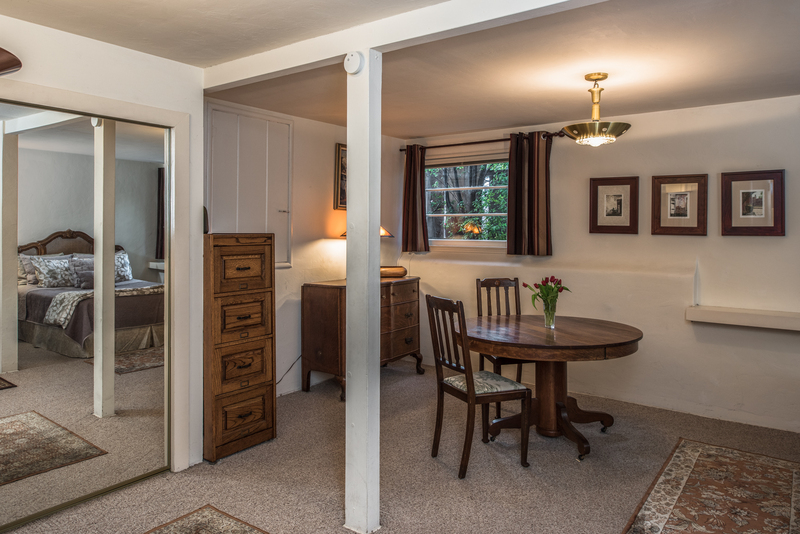 The 1-bedroom, 1-bath rental is close to everything and yet has a great sense of privacy, surrounded by fencing and landscaping that hides the home from view. 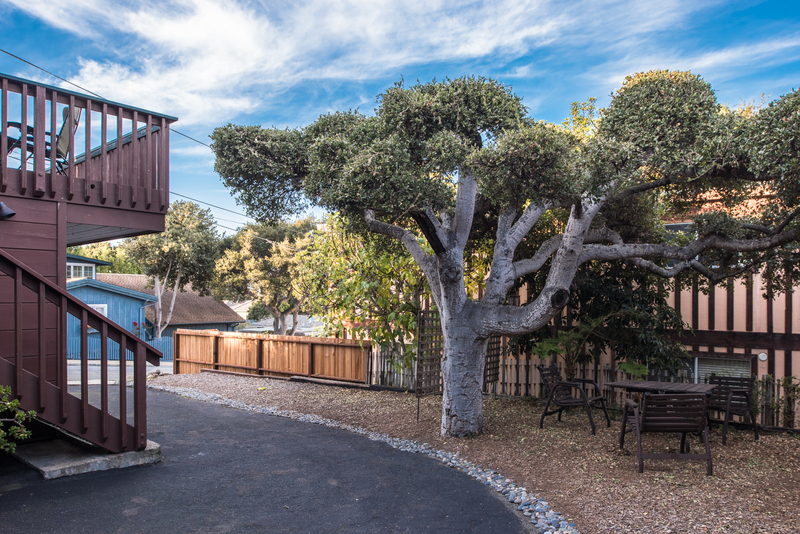 The 500-square-foot apartment is just a 5-minute walk from shops and restaurants in downtown Pacific Grove, or to the beach and the Monterey Bay Recreational Trail. 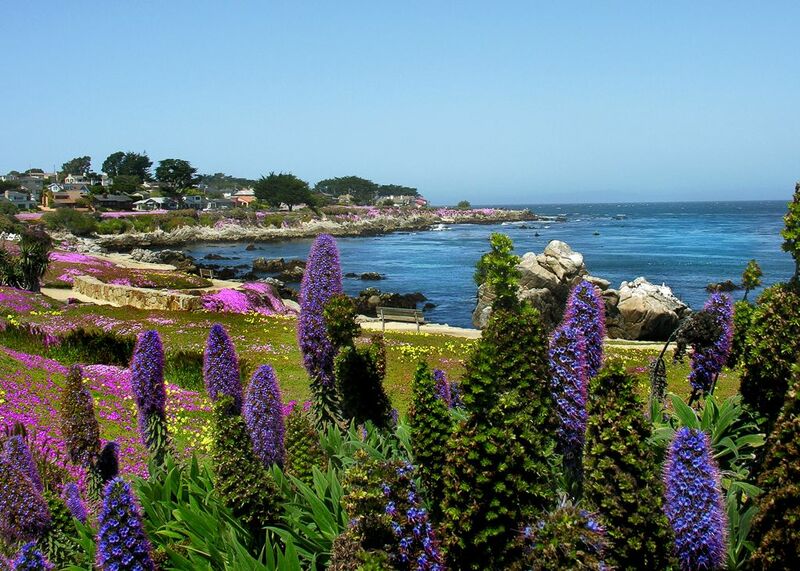 It’s also a 10-minute walk to Cannery Row and the Monterey Bay Aquarium. 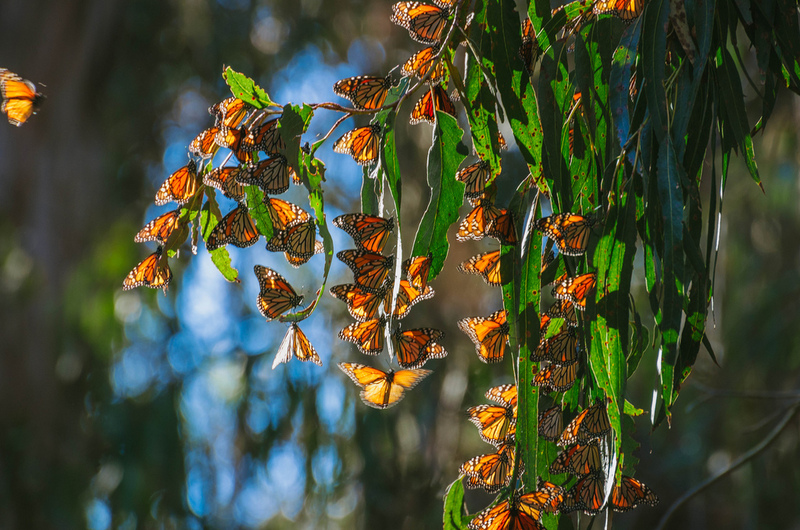 The Pacific Grove Municipal Golf Course is just a few minutes away by car, as is the monarch butterfly sanctuary and Asilomar State Park. 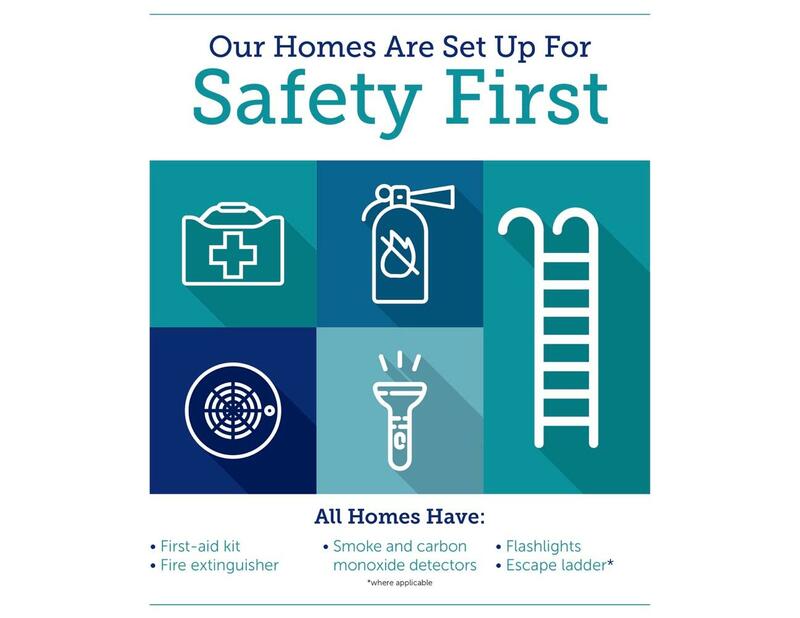 Vintage furnishings and décor add to the ambiance, with newer appliances in the kitchen and a 36-inch HDTV in the living room offering modern convenience. Ocean views can be glimpsed from the living room, which has comfortable seating and plenty of shelving to hold books and other items. A queen-size bed features new luxury linens. Parking for one vehicle is available in the driveway and an outdoor seating area is available for use. • Sorry, this is not a pet friendly unit. 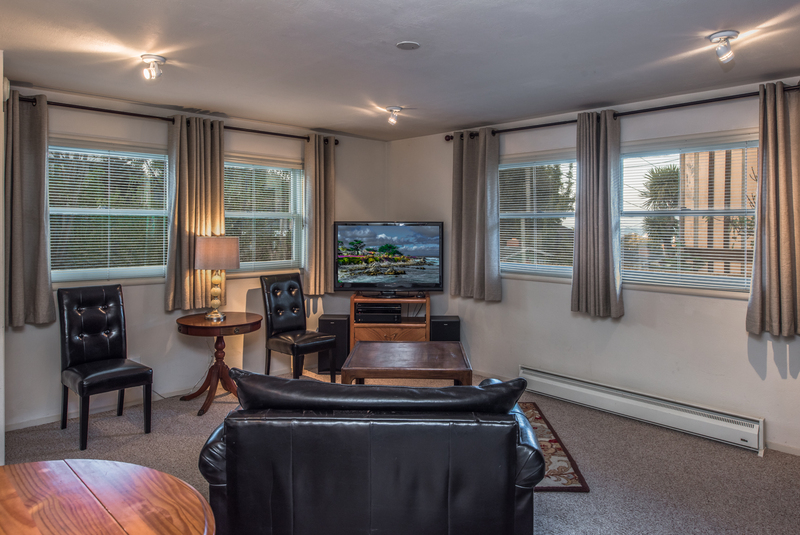 This lovely home is new to the Sanctuary Vacation Rentals family so no Guest Reviews yet. 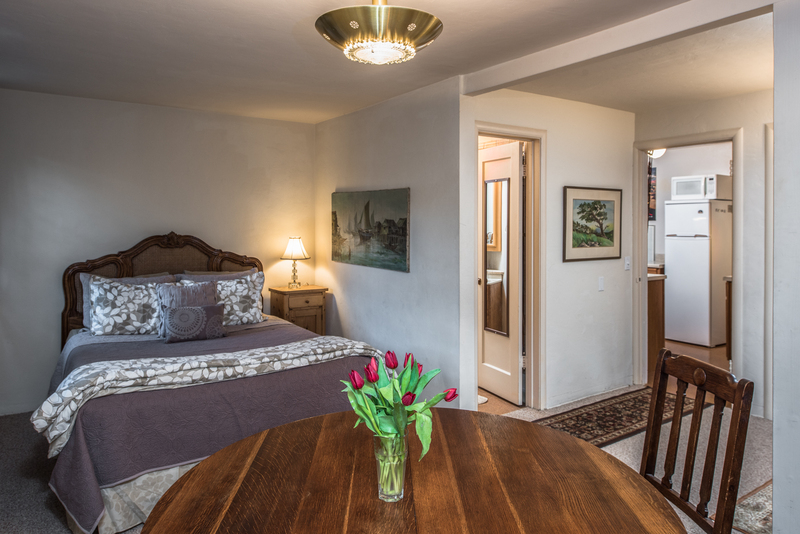 Maximum Occupancy: This 1 bedroom flat/apartment sleeps 1-2 guests. 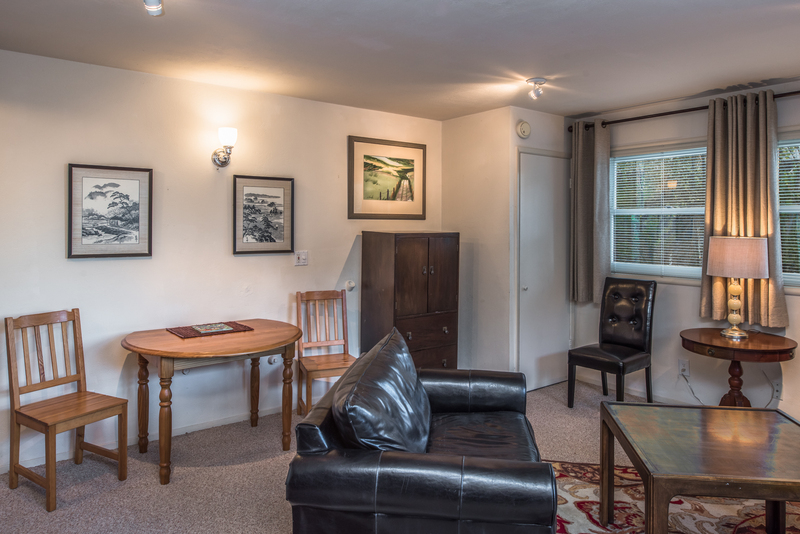 Note: There is a bathroom with a standing shower and a separate living room in the unit.